Sunset from the Marie Antoinette Lookout. Between Wyalusing and Towanda, there are two lookouts along Route 6-Wyalusing Rocks and Marie Antoinette. While I had been to the Wyalusing Rocks several times, I couldn’t recall when I had been to the Marie Antoinette Lookout. After driving by a thousand times, I decided to stop by. And I chose the perfect time, just as the sun was setting. 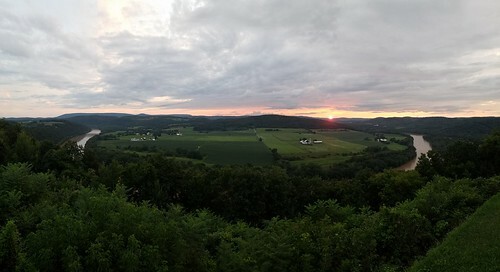 I pulled in and was immediately impressed by the view, which I think is even more beautiful than the Wyalusing Rocks. 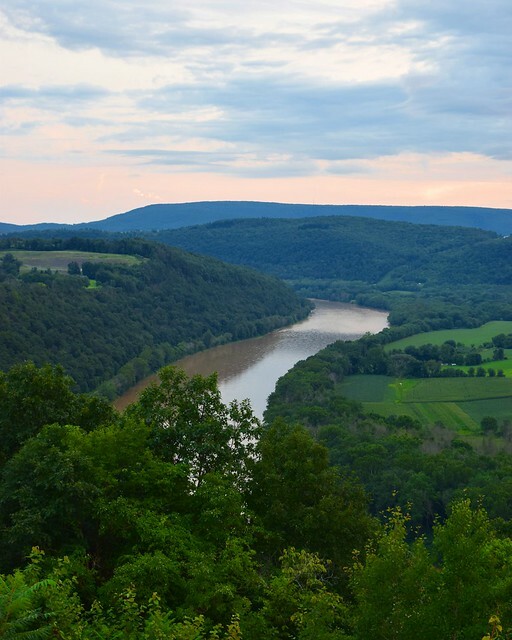 Here, the lookout is over 400 feet above the Susquehanna River and offers a tremendous view of the sweeping river. To the left, the river appears to enter a canyon as it becomes surrounded by steep, forested slopes. In the distance are rolling mountains. Below the overlook is a field and the French Azilum where the French nobility hoped to find refuge during, and after, the French Revolution. It was hoped Marie Antoinette would join them. While a few nobility did arrive, the settlement didn’t last long. As I sat at the view, the sun began to melt into the clouds and disappear behind the horizon as twilight shrouded the Susquehanna River. The lookout is located at 41.731054, -76.297383. 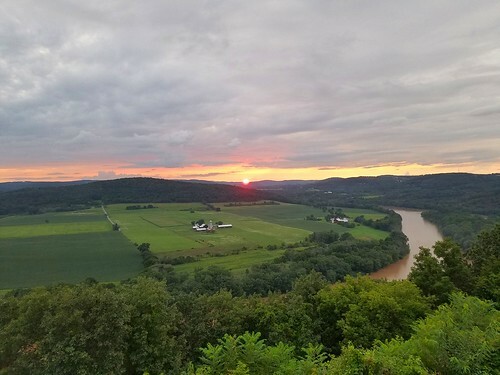 This entry was posted in Uncategorized and tagged Endless Mountains, marie antoinette lookout, pennsylvania, route 6, vista by endlessmountains. Bookmark the permalink.